Replace old parts or customize your vintage Mercedes-Benz by purchasing authentic Mercedes-Benz parts at Keyes European. Our Mercedes-Benz dealership in Van Nuys, CA, has a huge selection of genuine Mercedes-Benz parts in stock, and we can place an order on your behalf if we don’t have the right piece in our store. The OEM Mercedes-Benz parts we have for sale are specifically designed for your vehicle, giving you the peace of mind you deserve when keeping your car in top condition. Browse the Keyes European parts specials before you buy and you could save big on the new car parts you’ve been searching for. We want to make car maintenance simple for every customer, which is why we have rotating parts specials each month to give you great savings opportunities. 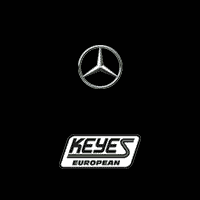 From new Mercedes-Benz tires to windshield wipers, floor mats and more, we have all the genuine parts you need at Keyes European!